Internet fax services are far more suited to the way business is conducted in the new millennium. Following are some examples of the things an Internet fax service can do that a fax machine can’t. When you use a fax machine, you are pretty much tied to wherever the machine is located. If you’re out of the office and an important fax comes in, you either have to go back to the office or have someone forward it to another machine closer to you. With an Internet fax service, faxes are sent and received through your email account – which means anywhere you can get an Internet connection. And on any device, including your smart phone. 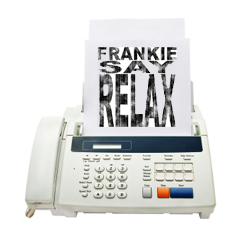 Fax machines generally sit in a common area since they’re usually shared by an entire department or office. If you receive a fax, anyone walking by can read it. Because Internet fax services deliver faxes directly to your email in-box, the information they contain is kept private. A good Internet fax service adds an extra layer of security by encrypting messages, preventing them from being intercepted by unscrupulous parties. This added encryption is an advantage over sending documents via email. If you’re working with a team and everyone needs to see the document, someone has to make and distribute copies. If some of the team members are out of the office at the time, they won’t see it until they get back. Internet fax services allow you to specify simultaneous delivery of faxes to multiple email addresses, assuring everyone has the information they need. Keep faxes organized and available. Fax machines generate paper faxes that can get mis-delivered, buried on a desk, or thrown away. Once the fax is gone, obtaining another copy can be difficult. Because Internet fax services deliver electronic files, faxes can be stored on a hard drive or server where they can be pulled up quickly anytime. A good Internet fax service will also archive faxes for several months to a year. Reduce cost and environmental footprint. Operating a fax machine can be expensive. There’s the cost of the machine itself, plus a dedicated phone line, the cost per call if it’s on a toll-free number, paper, toner and electricity to keep it ready to send and receive faxes 24×7. An Internet fax service eliminates nearly all of those costs completely, and limits paper cost to the faxes you choose to print – all for just a few dollars a month. As an added bonus, the paper and energy savings also help you make your office a little greener. Let’s face it – fax machines are just so 1980. If you’re still using one, it’s time to put it in the attic next to your legwarmers and move to an Internet fax service instead. Steve Adams is the vice president of marketing for Protus, a provider of communications tools for small-to-medium-businesses and enterprise organizations, including the MyFax (www.myfax.com) internet fax service; my1voice, a virtual phone service; and Campaigner, an e-mail marketing solution. He can be reached at sadams@protus.com. If you’re looking to upgrade your faxing capabilities and presentations, you might also be interested in an earlier post here on TelecommutingJournal . . . 100 Free Fax Cover Sheets. Therefore faxing via internet saves a lot of business resources which can be devote in other aspects for business improvements. .-= Internet Faxing Services´s last blog ..The Complete Internet Fax Service =-. Aside from online fax saving money and paper, it also saves thousands of trees each year that don’t need to be cut down. I’m sure most businesses could use the extra savings from transitioning their fax systems to the internet as the economy slowly rebounds.